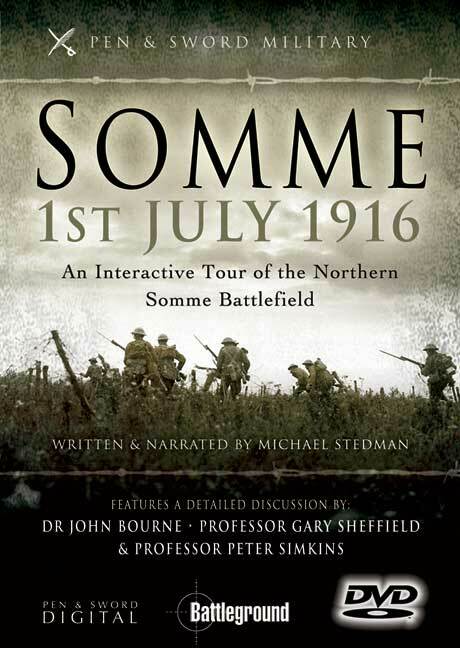 You'll be £19.99 closer to your next £10.00 credit when you purchase Somme, 1st July 1916 DVD (southern). What's this? Order within the next 9 hours, 4 minutes to get your order processed the next working day! 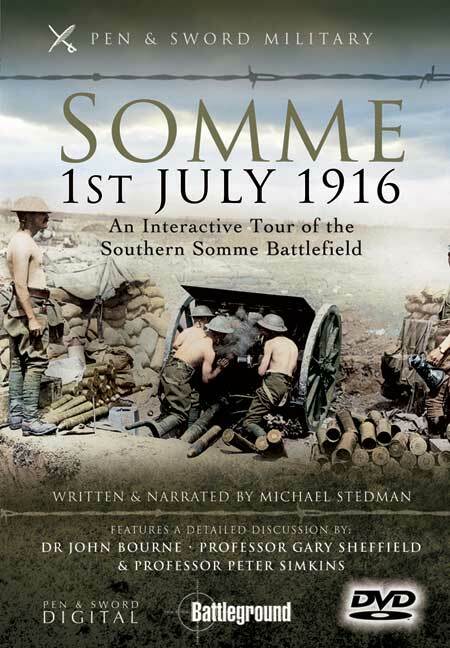 This ground breaking series of DVDs continues here with the release of Somme, 1st July 1916 - Southern Sector. The DVD covers the events of 1st July in the areas from la Boisselle, Fricourt, Mametz, Carnoy to Montauban. It contains a visual tour of each of the key areas in the southern sector, together with maps, archive film and contemporary stills. Key attacks are introduced and narrated and guidance is given on how to visit the battlefields today. Included is an interactive map, then and now, panoramic views from certain key points of the Battlefield and a contemporary map of the whole front, not seen before. The ground breaking series of DVDs has been launched by Pen & Sword. It contains a visual tour of each of the key areas in the southern sector of the Somme in 1916, together with maps, archive film and contemporary stills. Included are interactive then and now, panoramic views from certain key points of the battlefield and a contemporary map of the whole front not seen before.